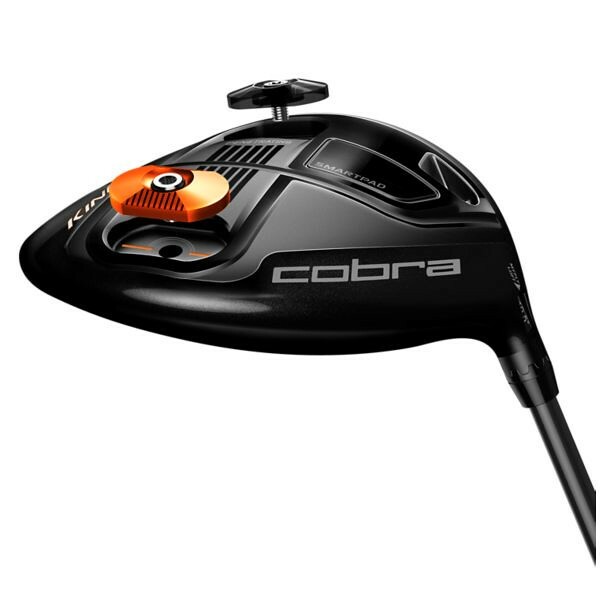 Cobra touts the upcoming King F6 driver as its “longest & most forgiving adjustable driver” which offers a unique combination of distance and forgiveness with every shot. They have combined some familiar technology from the Fly-Z line with some exciting new technology in designing this club. Cobra’s new, re-engineered Forged 8-1-1 Titanium E9 Face is lighter, thinner, and hotter which creates more deflection and a larger sweet zone across the face. This is accomplished thanks to the variable thickness of the structure. Anchoring this face is a new, lightweight 8-1-1 Titanium Body and crown design that saves weight from the entire club head allowing the two movable front and back CG positions. Continuing the MyFly8 Technology with Smartpad from the BiO Cell and Fly-Z lines, the F6 offers eight easily adjustable loft settings ranging from 9.0 degrees to 12.0 degrees including 3 draw settings. These options allow the player to manage trajectory and fine tune launch conditions in order to maximize distance with any swing, on any course. Pairing this technology with a moveable 10g weight on the sole of the club offers the ability to truly fine tune the club to your specifications. The weight can be placed in the front position to create a penetrating ball flight that will maximize roll or in the back position to create a towering ball flight with more carry and maximum forgiveness. Finally, the Speed Channel Face, an exclusive Cobra innovation, minimizes thickness and increases ball speeds across the face for incredible distance utilizing an engineered channel around the perimeter of the face. 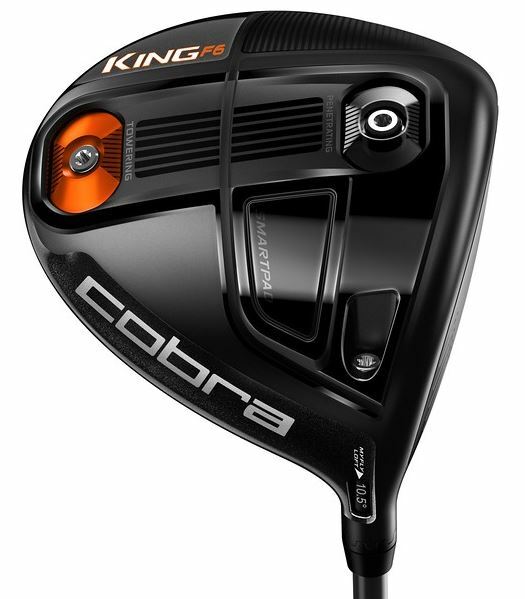 The Cobra King F6 driver will come with a stock 45.50 inch Matrix Red Tie 60Q4 shaft available in Lite, Regular, Stiff, and X-stiff flexes. Color offerings will include Glass Black with Vibrant Orange, Blue Aster, White Pearl and Grey Turbulence with Gecko Green. The traditional Orange will be available via custom order.